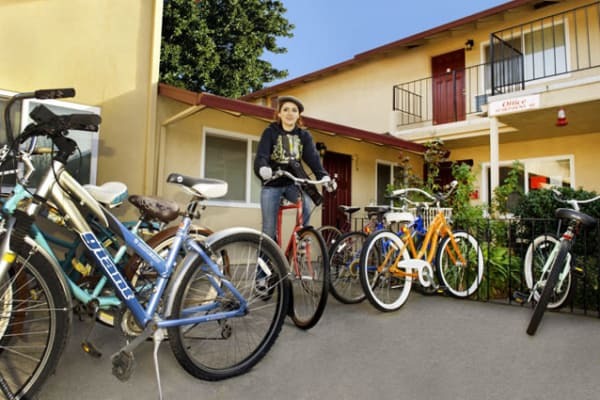 7th Street Manor’s one and two bedroom apartments are situated in the peaceful South Campus neighborhood of Chico, CA, steps from Chico State. Off-street parking means you won’t have to worry about finding a parking spot. Leave your car parked and hop on the B-Line to get around the neighborhood. Our cozy apartments for rent are in a peaceful setting and offer the relaxing homelike atmosphere you desire. The roomy apartments are light and welcoming, inviting you to come inside, kick up your feet and relax. When you rent an apartment at 7th Street Manor, our friendly onsite management team is ready to assist you any way we can. Online rental payments simplify your rental experience and offer you peace of mind. On hot summer days, you’ll appreciate the comfort of cooling air conditioning and ceiling fans throughout your space. 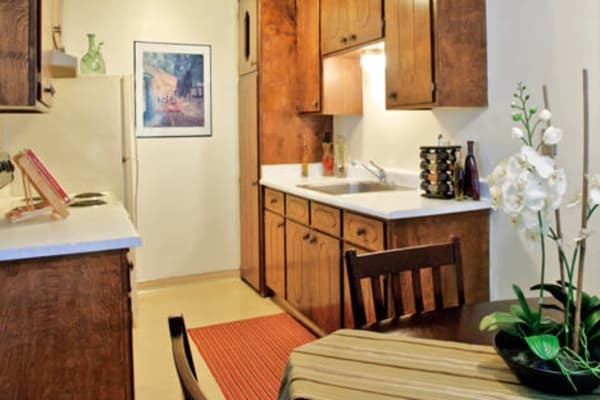 An onsite laundry facility is another perk of an apartment at 7th Street Manor. Ready to experience 7th Street Manor in Chico, CA, for yourself? We’d love to show you around our community. Get in touch today to schedule your tour.